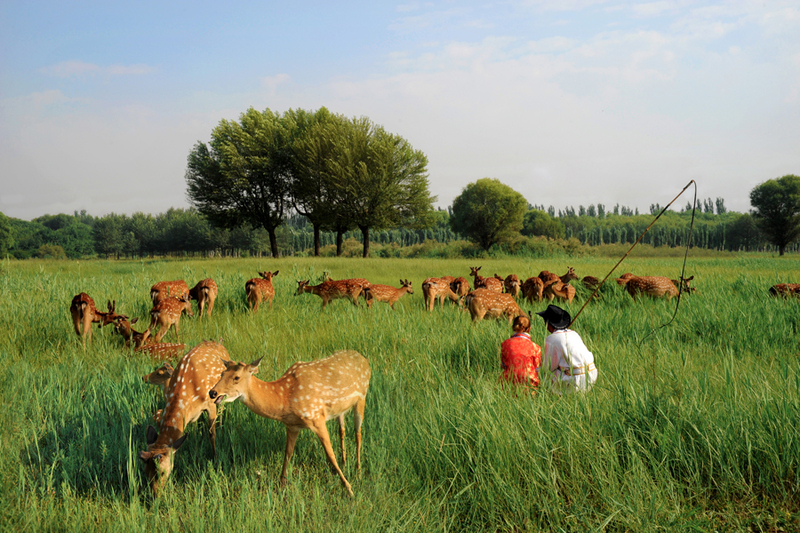 Saihantala Ecological Park, located in the Qingshan district of Baotou city, covers an area of 770 hectares and is the only wetland grassland in an urban area in all of Asia, including China. Saihantala means “beautiful grassland” in Mongolian. It is a comprehensive ecological park that integrates ecology, promotion of local culture, tourism, education and scientific research. In addition, it boasts attractive and impressive Mongolian yurts, oboo, wrestling and horse racing fields. After years of construction and preservation, the park now is home to many rare birds and wild animals such as deer, along with lush grasses and forests.